Protect your property value. Your dues enable our projects to continue. There are expenses associated with running these projects that help protect our lake and your support by becoming a member, paying dues and becoming involved is your best investment to protect your property value as well as the health of the lake. Periodic communications of information on issues concerning our lake through mail/email and this website. An invitation to the Annual Membership Meeting and a vote on any issues brought to vote. To become a member, or to renew your current membership, click on the Registration link at the top of the page. 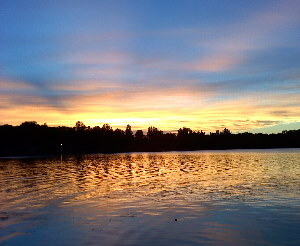 The responsibility of the Star Lake Property Owners' Association board is to represent the interests of the association, as indicated by its members. The Association has no paid employees, all duties are performed by volunteers who donate their time and talents to help protect Star Lake. Board members serve a 3 year term, typically attend 8-9 monthly meetings each year, and head one of the committees. 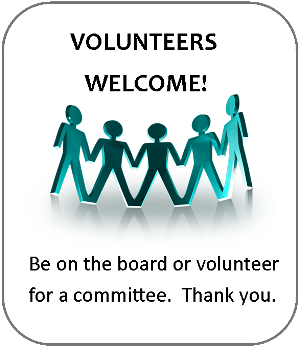 Please consider running for a board position or volunteering to help with ongoing projects. Communication between the SLPOA board and its members is an important priority. Below you will find links to monthly board meeting minutes, annual membership meeting minutes and the newsletters. If you have a concern, question or suggestion, please feel free to contact the association or any member of the board. Star Lake is a remarkable gift of created beauty and natural resource. The Star Lake Property Owners' Association and its Board of Directors are dedicated to its protection and enhancement for all citizens who wish to enjoy its benefits in this generation and for generations to come.